According to an April 2018 Post and Courier article, a new study named Charleston the worst place in America to launch a small business. While this news might stop some from opening a small business, these girl bosses are out to prove that theory wrong by thriving in the Holy City. Here are just a few women entrepreneurs who are killing the entrepreneurial game and giving us all the feminist feels. 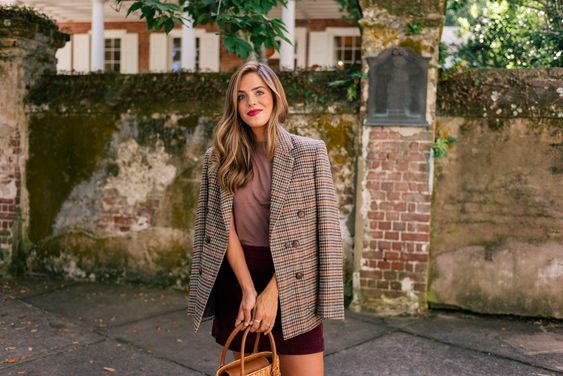 Perhaps Charleston’s best-known entrepreneur, Julia Engel, founder of Gal Meets Glam, began her career with a Charleston-based fashion blog out of her college dorm room in 2011. After gaining over a million followers on Instagram, working on campaigns with brand-name designers and being named one of Forbes’ Top Influencers in 2017, she launched her own clothing line sold at Nordstrom. If you need inspiration for how to turn a side hustle into a full-time hustle, look no further. Charleston native Hart Hagerty’s brand is all about “understated statement” pieces. After studying Chinese and moving to Shanghai for five years to work in fashion Hagerty returned to Charleston to combine her love of Asian aesthetics with her hometown’s bohemian vibe creating luxe one-off jackets and the tassel earrings she is known for. The Cocktail Bandits, best friends since their first day at the College of Charleston, are a booming part of the hospitality business. On their self-titled blog, they talk cocktails, share cocktail recipes and promote the craftsmanship of other bar professionals throughout Charleston’s food & bev scene. They host sold-out events in and outside of Charleston including food and wine festivals in Charleston, Atlanta, and Greenville. Their mission is to promote female empowerment through advocacy for the food and beverage community from a feminine, urban perspective. Local artist, Teil Duncan, gave up her day job to pursue her passion as a full-time artist and now sells up to 30 paintings a day. Originally classically trained in oil-based painting, she switched to watercolor to meet the demands for her work. Duncan is best known for her bright, bold paintings. Suite 33 is a collection of gifts and accessories made in and inspired by the Holy City. Textile designer, Emily Daws creates signature fabrics with subtle stories behind the patterns that represent the city. She is in the process of launching a sister suite, in which she will feature the full collection and made-to-order home decor. Fun fact– her wedding dress, which she designed herself, came back from the dry cleaners in less than pristine condition. A problem she solved by overnighting fabric and starting from scratch. A serial entrepreneur, Molly Fienning is the co-owner of Babiators, Lil Bit Lit and Notra Sunglasses. Babiators, her business child, has now sold over 1.5 million pairs of sunnies and has been named one of America’s Most Promising Companies by Forbes Magazine. After visiting the women of Togo, Africa in 2015, Katie Walters felt God ignite her heart to start a nonprofit that exists to empower and equip skilled Togolese seamstresses by providing them with dignified and sustainable employment. The profits from the handmade women’s’ clothing, that combine American style with West African wax print textiles, are used to benefit orphans, widows and those suffering in poverty. Previously a co-owner of Charleston Power Yoga, Sarah Frick, found a new venture with her fitness studio. Combining yoga and HITT in her signature classes, The Works and The Sweat, this studio offers a great workout. On top of her business ventures, she juggles the responsibilities of raising a family and giving back to her community. Katie spent years in corporate America before founding Charleston’s first non-toxic nail and beauty salon, Mylkbar. As a millennial mom, business traveler and natural beauty connoisseur she saw a lack of nontoxic self-care options for consumers and followed her passion to provide one. Kristin Schwiers – Charleston Candle Co.
Like all good small businesses, Charleston Candle Co. began as a hobby for Kristin Schwiers, who had fun making candles in her kitchen. She came up with the idea of making scents based on places and things in Charleston and her small Etsy shop became a full-fledged business. Her candles can now be found in stores across the U.S.
Anne Caroline Bethea is the founder, owner, and chef at Bib.On Donuts, a specialty sweets bakery in Charleston. The ingredients that go into her donuts are organic and free of gluten, dairy, eggs, nuts, and soy. She is focused on serving those with sensitivities and allergies, so they are able to indulge.